So, you’re ready to move. Maybe you’re leaving your parent’s house for the first time, or maybe you’re ready to settle down in your forever home. Whatever you’re looking for, when it comes to starting your house hunt you have two main options: buy one or build one. Both of these choices have pros and cons, so use this list from The Degnan Group to explore which one is right for you. There are four major benefits to buying a house instead of building it yourself. It’s no secret that construction and renovation projects almost always take longer than expected. 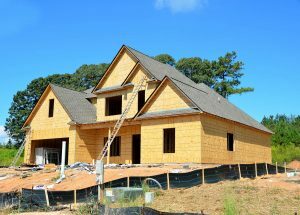 Although buying a home can be a lengthy and time-consuming process, building a home will almost certainly take longer. If you’re on a timeline and need to move fast, then buying a home is your best option. Buying a house is also the easier route because it requires fewer negotiations, decisions, and meetings than building a house with a contractor from the ground up. Buying a house will require a down payment, mortgage, and closing costs. However, it’s easy to make sure you stay in budget by only viewing homes at price points you can afford, and understanding your closing costs ahead of time. When you build a home, it’s not that simple. Building a house has a base price, but there are also a lot of little costs, upgrades, and unexpected issues that can arise during the process to make it go up. If you don’t have the funds to be flexible, you should consider buying a home instead of building one. Moving into an established neighborhood is a major perk of buying a home because there are already families in the area and a community to join. You can meet your neighbors beforehand, and visit the house at different times of day to gauge noise levels. In contrast, when you build a house it’s often in a new development. That means you could spend years living next to loud and disruptive construction sites, and you also have no control over who your new neighbors will be if the nearby lots haven’t sold yet. Finally, buying a home usually comes with mature trees and some basic landscaping in the yard, but if you build one you will be starting everything from scratch. Buying a home instead of building one is a good idea for history buffs, vintage lovers, or those who have an eye for character and flair. Sure, building a new home will tell your family’s story in it, but nothing else. Older homes have housed generations, and some have even been standing for hundreds of years. If you enjoy a vintage feel or historical touches, then buying a home instead of building one is definitely for you. Not swayed on buying a home? There are also plenty of great reasons to choose to build one yourself instead. The most obvious reason to build a home instead of buying one is that you can choose exactly what you want. The neighborhood, the yard size, and the location are just the beginning. You can also customize with a library, loft, home office, specific number of rooms, extra bathrooms, finished basement, spacious balcony, the list is truly endless. If you’re ready to move into your forever home, the ability to make sure it’s exactly what you want so you can enjoy it for the rest of your life is a pretty important perk. Newly built homes don’t have any history to worry or wonder about. You know the electrical wiring is all up to code and done by a professional. You know exactly where the sewage lines run through your yard. You won’t even need to spend time and money on costly inspections to check the roof or foundation because they’re new and were approved by you before installation. Newly built houses come with all new appliances and materials. That means energy-efficient kitchens, bathrooms with little water waste, and lower heating and cooling bills. High-quality and long-lasting appliances and materials make day-to-day life in a brand-new home so much easier than in an old one and can help you save money on repairs and maintenance in the long run as well. So, which option is for you? There are many benefits to buying a home, like the ability to move in on a shortened timeline, work with a firm budget, live in an established neighborhood, and get a home with a bit of history and charm. However, building a new house can also be the right choice. Most importantly, if you have your dream home in mind already, you can build it to your exact specifications. Also, you know there are no surprise issues in the history of the home and you get to live (and save money) with brand new appliances and materials. In conclusion, buying a house is better for families who want to save money and time, and building a house is better for those who are ready to customize their dream home. Both building and buying a home have pros and cons, so it’s important to research each option before you begin the process. Whichever one you choose, make sure to keep The Degnan Group in mind for all of your real estate needs in Toldeo!